Here is a list of some ideas to get you going with Tettra "Zaps" in Zapier. If you need some help getting any setup, just reach out. Setup a Zapier email (looks like this: [email protected]), then just forward your emails to the address and it will create a Tettra page. 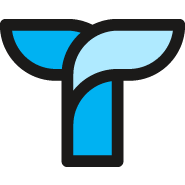 Use the slack trigger New Channel to automatically create a page in Tettra. Then go into Tettra and give a more details description of how and when to use the channel. Use the github integration with the New milestone trigger to create a Tettra page with the Milestone as a title, and then you can create a template to fill out in Tettra for each new milestone. See Tettra on Zapier for more ideas.